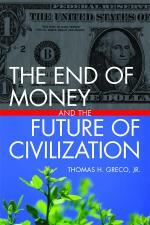 ← Greenbacks, monetary reform, or revolutionary innovation? This entry was posted in Basic Concepts, Developing Alternatives, Emerging paradigm, Exchange Design, Finance and Economics, Implementation Strategies, My activities and tagged credit clearing, currency, Greece, money, trade exchange. Bookmark the permalink.